Dyslexia affects around 10% of the population, 4% severely, and it usually runs in families. The common symptoms of dyslexia are difficulties with reading and problems with spelling words, including letter reversal of similar letters like b and d. Dyslexia also affects the way information is processed, stored and retrieved, including memory problems, speed of processing information, perception of time, organisation and sequencing. Dyslexic people may continue to confuse left with right hand and find it hard to follow directions. Some forms of dyslexia, such as Scotopic Sensitivity, cause the text to distort, blur and even move around the page and there may be difficulties tracking across the page. White paper can appear dazzling and make print hard to read, which can be helped by using a special coloured overlay. Further information is available here. what might your child's music teacher have noticed? A teacher in one to one lessons, whilst not necessarily an expert in diagnosing dyslexia, is well placed to notice any problems and talk to parents about their observations. Parents might then choose to seek a professional diagnosis. Do not assume that your child's schoolteacher will definitely have picked up on the symptoms - dyslexic children can adopt intelligent coping strategies that could obscure the real issue, which may be causing enormous stress. How does dyslexia affect learning in music? Initial music reading difficulties: remembering notes names, reading rhythms in early lessons. Difficulty reading reminders written on music or in a practice notebook. Problems remembering instructions in lessons and remembering what to do in practice time. Quickly forgetting what the teacher has asked them to listen out for in aural work. Problems understanding music theory, particularly when it is in a written format. Appearing disorganised with regard to practising, attending instrumental or singing lessons, going to rehearsals, having the right music. Confusing left hand and right hand when learning piano music. If your child's music teacher mentions any of the above difficulties to you it is well worth asking at school for tests that could confirm or rule out a diagnosis of dyslexia, or alternatively arranging a private diagnostic assessment with the British Dyslexia Association. The information and advice you receive will be helpful for you and for everyone who teaches your child. However, it is important to recognise that dyslexia is one of many different specific learning difficulties that can affect children's progress in music. Whilst most teachers will have come across children who have learning difficulties, not all teachers have the training, knowledge and skills needed to understand and manage specific learning difficulties with expertise. If you already know your child has a learning difficulty, it is advisable to check out any prospective teacher's background, experience and training and discuss a way forward before committing to regular lessons. 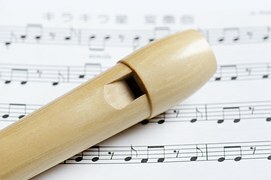 A teacher who is dyslexia-aware could help your child to develop strategies for reading music more easily, may enhance your child's ability to memorise music successfully for performances and will know the procedure for informing examining boards so that extra time can be allocated for the sight reading element of the exam. Dyslexic children may be lacking in confidence and feeling frustrated so it's particularly important for both you and the teacher to show you understand that, although dyslexic children have specific learning difficulties, they are just as likely as other children to be intelligent and musical. Further information is available from the British Dyslexia Association.